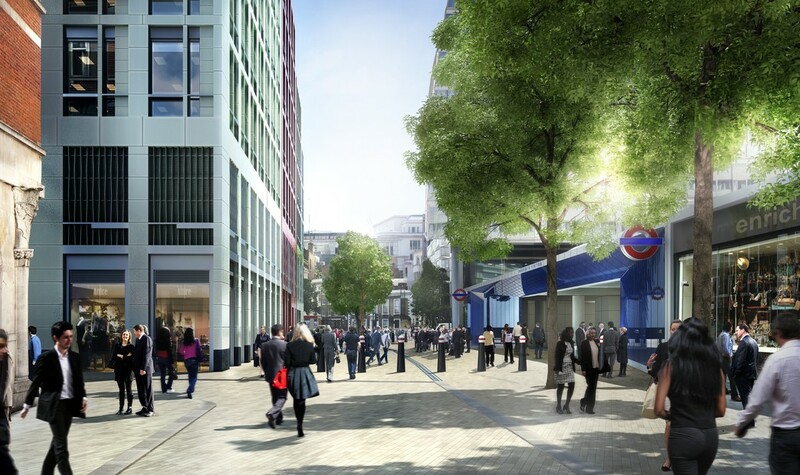 Funding agreement brings new and improved public areas around Crossrail stations a step closer - Crossrail . For information about the Elizabeth line please visit the Transport for London website. 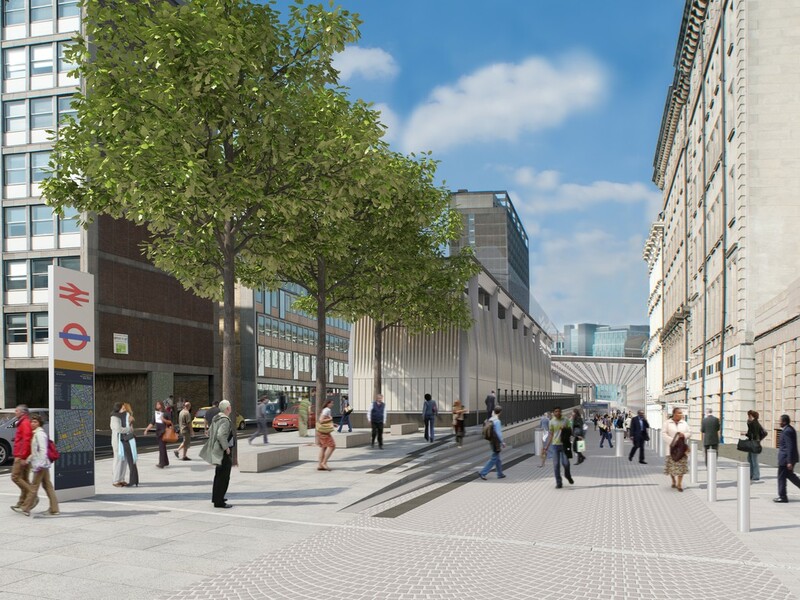 Plans for improved public areas outside stations along the Crossrail route have moved a step closer with the approval of new funding for ambitious public realm improvements. 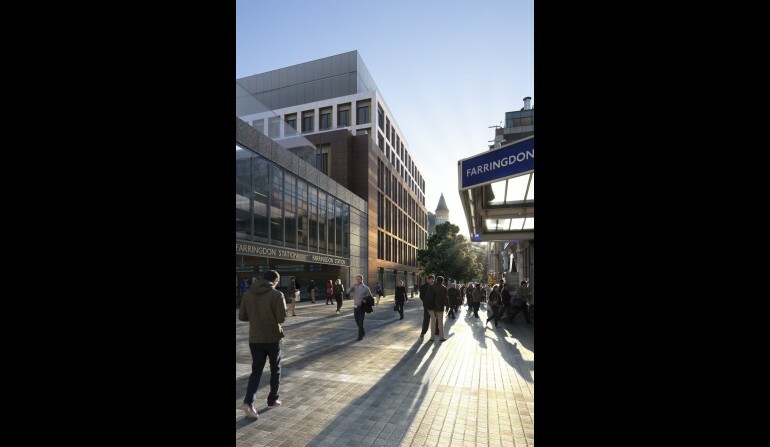 The Transport for London Board has approved a £30 million contribution towards the Crossrail public realm project, moving the plans an important step forwards and allowing further discussions with local authorities and developers to secure the final tranche of funding required. As construction along the Crossrail route is completed, Crossrail is required to carry out improvement works outside each of the stations. However, to maximise the long-term benefits Crossrail delivers, more ambitious plans are being developed by Crossrail that go beyond the project’s immediate requirements. 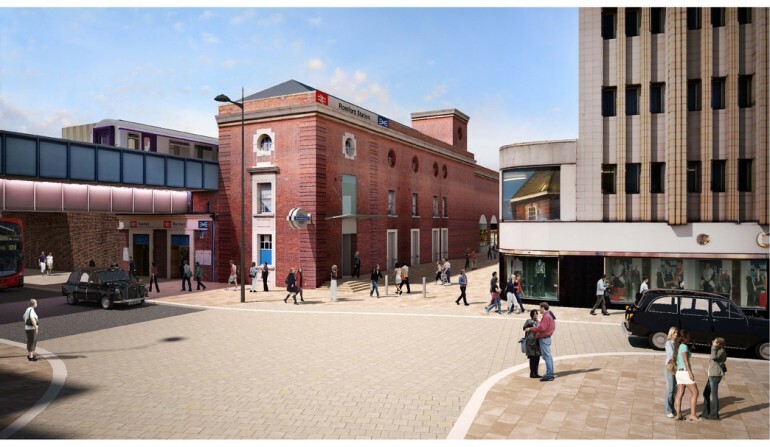 These broader plans would see improvements delivered well beyond the immediate station footprints, creating vibrant new spaces to knit in with the wider local area for commuters, residents and visitors to enjoy. 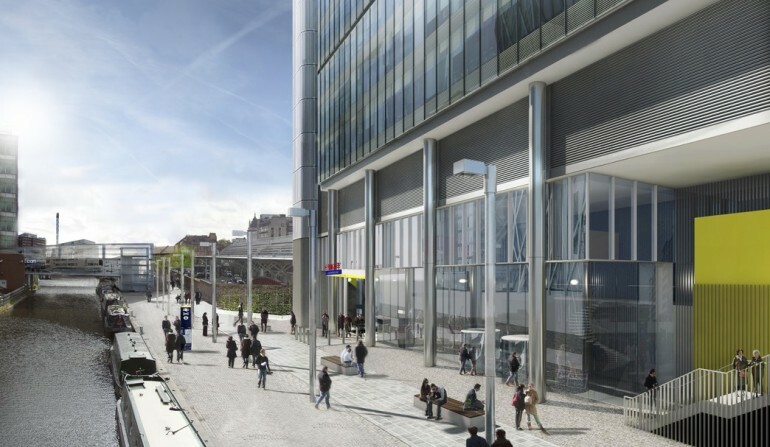 Crossrail is leading this design work, with the improvements to be jointly delivered by local authorities and developers. 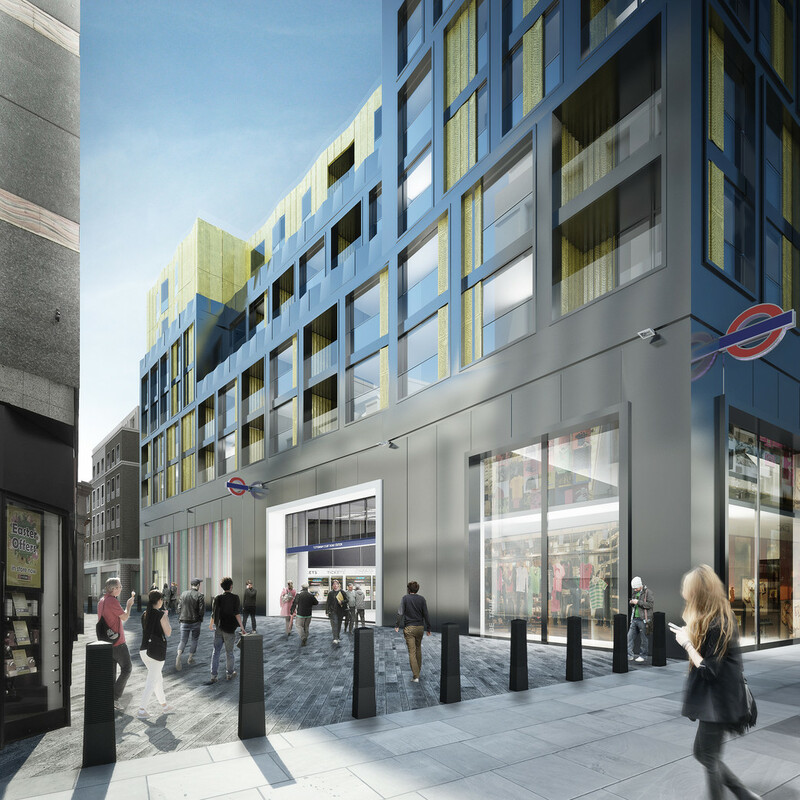 The recent Crossrail Property Impact Study noted that Crossrail would be the catalyst for wider development at many locations along the new route. Several developers including Land Securities, Grosvenor and Derwent London all highlighted the importance of major public realm improvements to support these new developments, so Crossrail’s public realm plans are crucial in supporting wider regeneration. 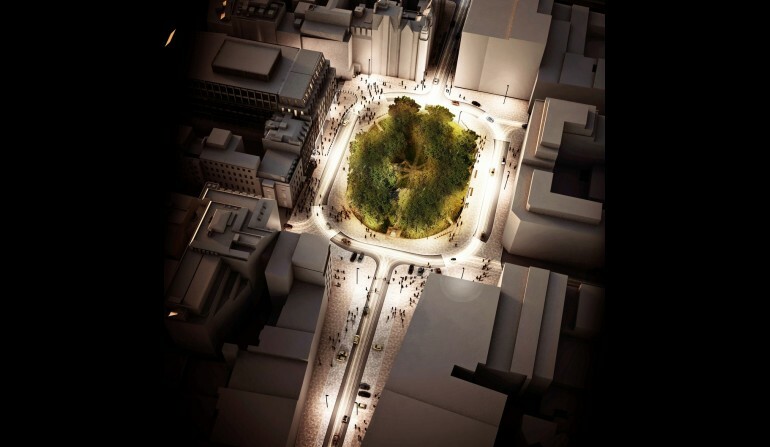 The costs of the planned public realm improvements are in the region of £90 million - £28 million has already been secured through the Crossrail budget with a further £30 million provided by Transport for London. 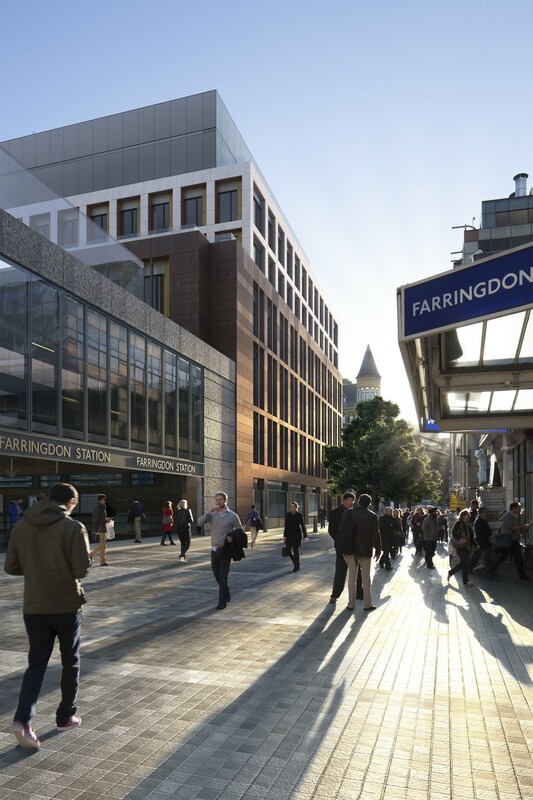 The Crossrail and TfL funds now in place will bring more comprehensive improvement schemes a step closer at new Crossrail stations in central London and Docklands and at existing stations across the rest of the Crossrail route such as Abbey Wood, Ealing Broadway, Hayes & Harlington, Ilford and Romford. New trees planted, along with new seating areas and meeting places. 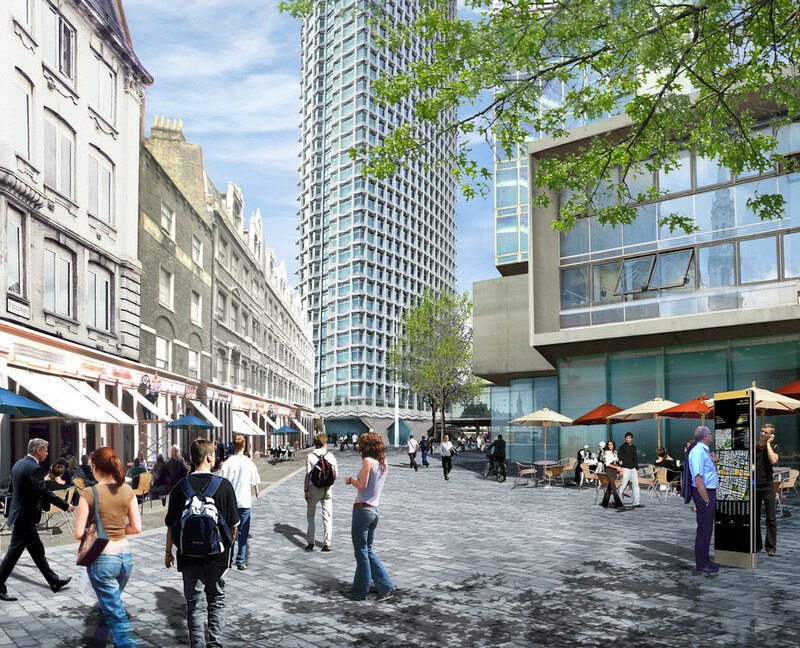 The urban realm design work is being carried out some six years ahead of Crossrail services starting in 2018, allowing Crossrail to engage with local authorities and developers well in advance, encouraging their input and further investment in line with the memorandum of understanding agreed by leading partners in 2010. It also allows designers time to consider the wider context of each station area, allowing them to design new public spaces that better integrate with the existing local area. An example of the joint planning and delivery of the public realm plans is Ilford station, where Crossrail is working closely with Redbridge Council to plan and design a range of improvements for the station area, including widened pavements, relocated bus stops and a new pedestrian crossing over Cranbrook Road. 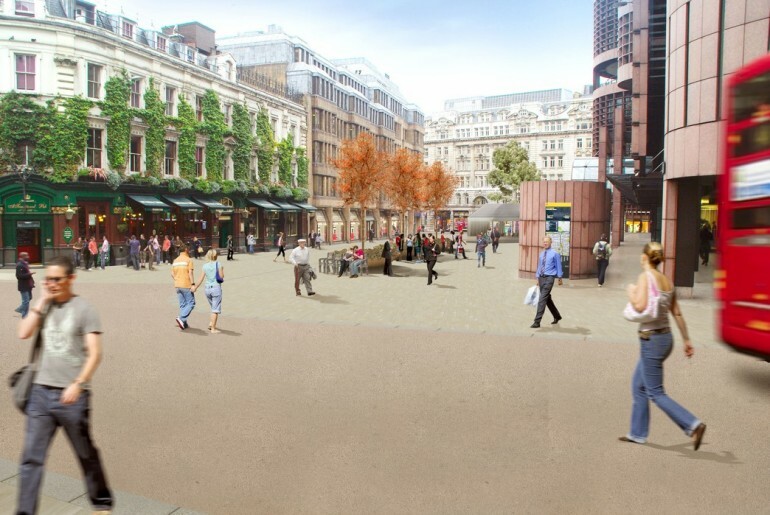 The public realm design plans for central London stations have also been carefully developed in consultation with the Commission for Architecture and the Built Environment, now part of the Design Council, who have provided expert design advice from architects, engineers, planners and property developers. 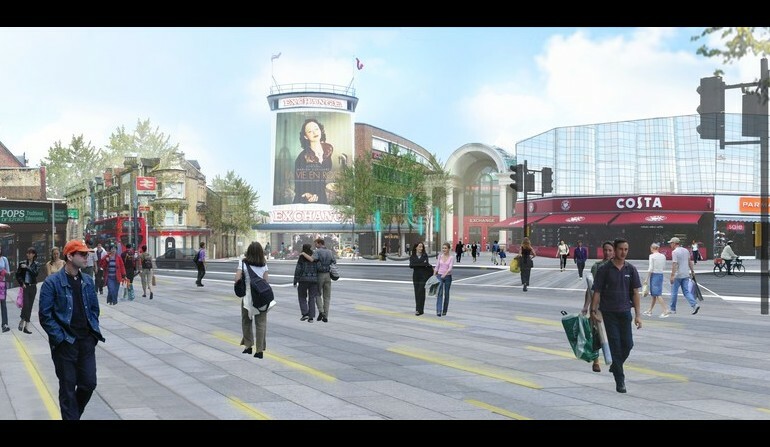 CABE’s design review group has played a significant role in advising on the designs for integrated public realm around Crossrail stations. 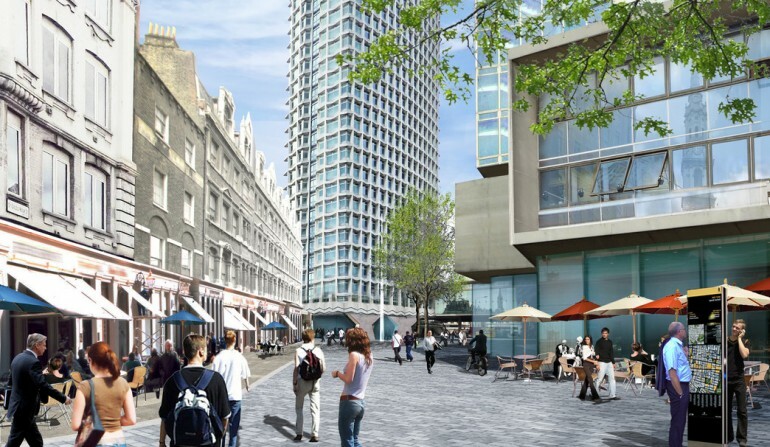 Crossrail is working on the public realm plans with a range of leading architects and designers including John McAslan, BDP, Gillespies, Urban Movement, Burns+Nice and Atkins. Initial urban realm design work has been completed for 16 stations so far, with masterplans for another 12 stations to be completed by the end of 2013. Paddington (Gillespies); Bond St (John McAslan and Partners); Tottenham Court Road (Atkins and Gillespies); Farringdon (Burns and Nice); Liverpool Street (Urban Initiatives); Whitechapel (BDP); Custom House (Studio Egret West/ Martin Stockley); Pudding Mill Lane (relocated DLR station - Urban Initiatives); Abbey Wood (Urban Initiatives); Romford (John McAslan and Partners); Ilford (BDP); Southall (John McAslan and Partners); Hayes & Harlington (Urban Initiatives); Slough (Atkins); Chadwell Heath (Crossrail in-house team); and Shenfield (Crossrail in-house team). 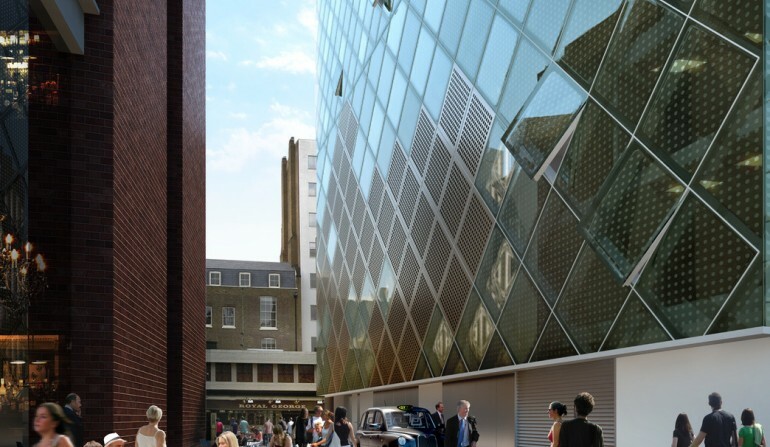 Tottenham Court Road will be one of the busiest stations on the Crossrail route and with two main entrances at prime central London locations, there is a need to improve the area surrounding the station for pedestrians and stations users. 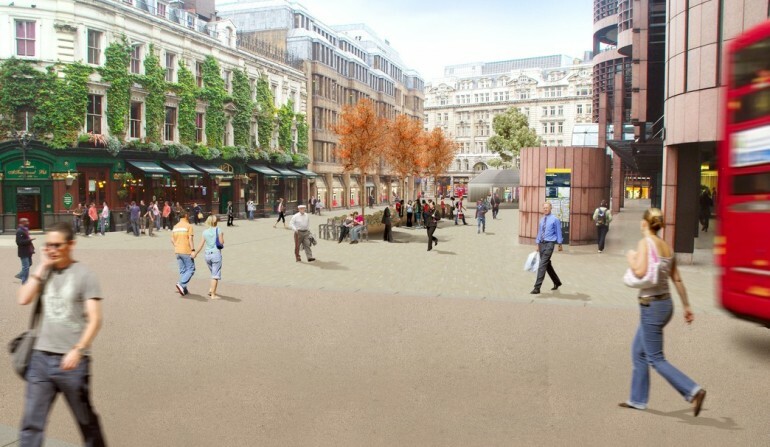 Public realm improvements include new hard landscaping to create a clearer and more attractive pedestrian route from St Giles Circus to Covent Garden and Soho Square, as well as improved public space at the base of the Centre Point building, with new glass station entrances which CABE say will “create exciting new landmarks”. 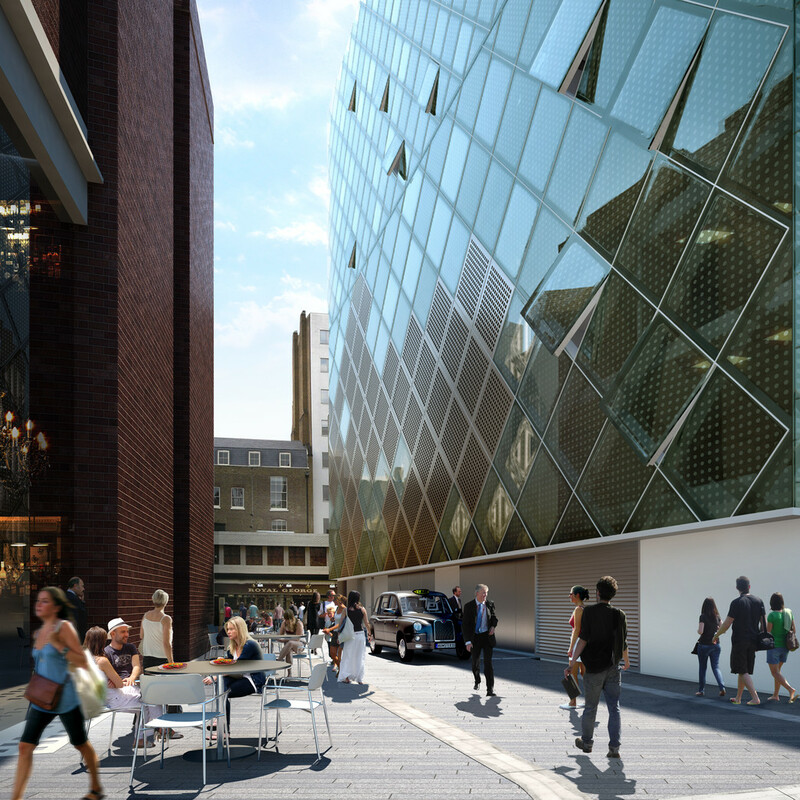 Hanover Square will provide an entrance at the eastern end of the new Bond Street Crossrail station. 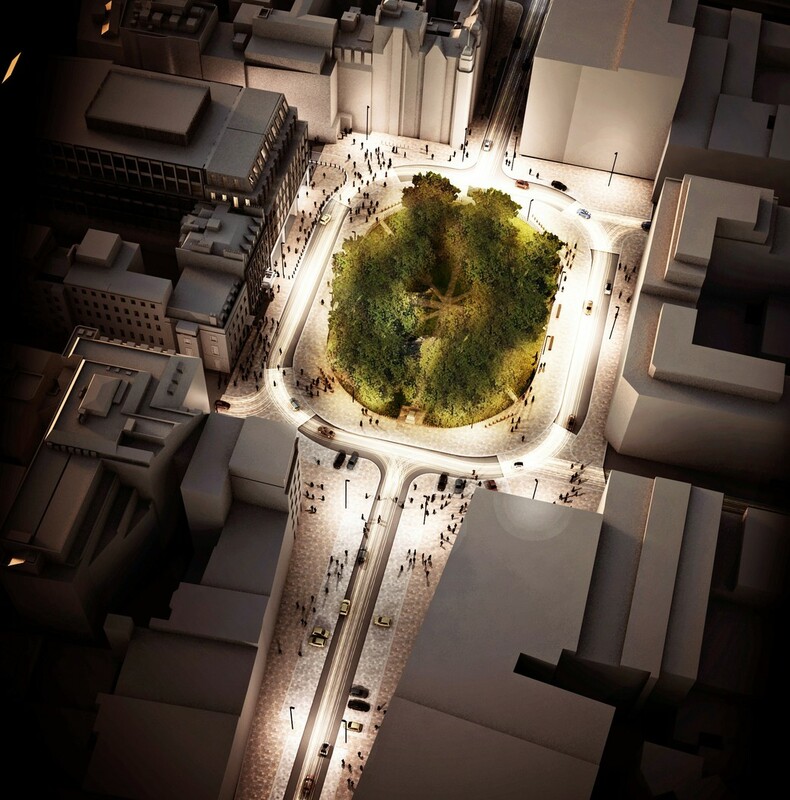 Crossrail’s initial public realm designs have focussed on improving the function of this historic London Square, providing wider pavements and pedestrian routes through the central garden, improved parking arrangements, with high-quality materials used throughout. The designs have been supported and praised by CABE who commented that the designs were “both elegant and rational”. 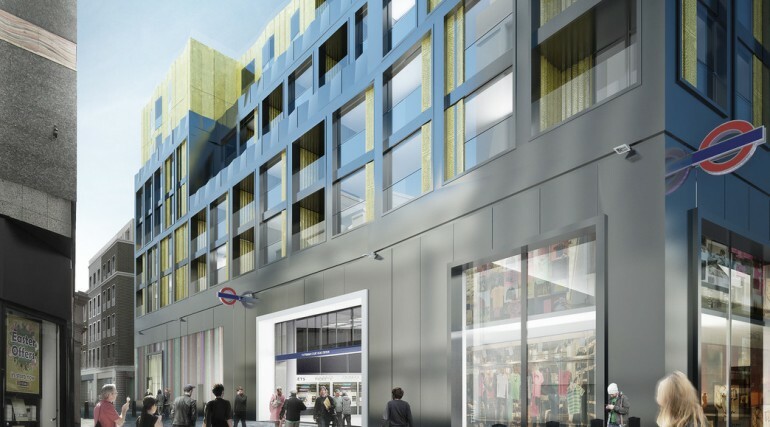 The plans for the new Whitechapel station are among the most architecturally ambitious on the Crossrail project which CABE say “will substantially improve the experience of people using the station”. 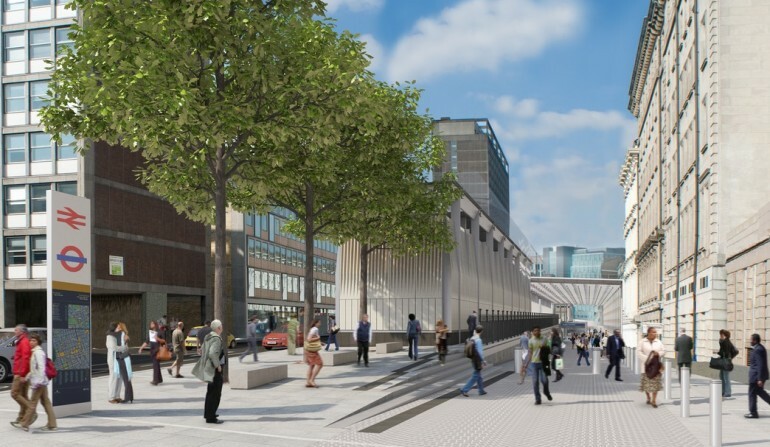 Public realm planning is central to the station designs, with the most significant improvement being the inclusion of a new pedestrian link across the railway, running alongside the new Crossrail concourse. 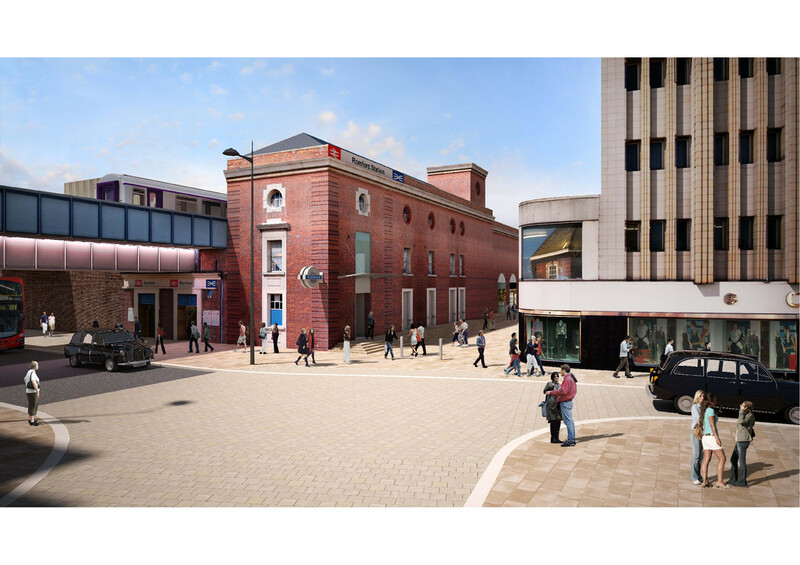 Other improvements include creating a more spacious forecourt immediately outside the station, giving passengers and pedestrians clear views of the entrance and more space to enter and exit.